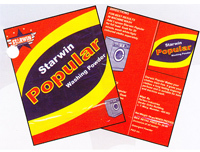 Starwin Active Power Detergent Non-foaming detergent powder for extra whiteness and fineness. Starwin Pearl Wash Detergent Laundry detergent with excellent performance on the fabric. 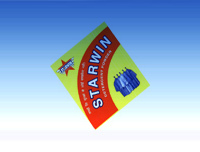 Starwin Prime Detergent Laundry detergent powder with mild foaming and better performance on the fabric..
Starwin Active PearlMatic-Medium Foam Laundry detergent powder with excellent performance on the fabric. 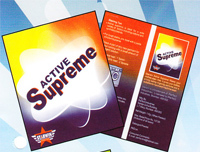 Starwin Active Supreme with Oxy bleach Detergent powder with superior quality of washing and faster reactivity having low foam. Starwin Super Enzymatic Detergent powder with extra performance and stain removing capabilities. Starwin SM9.0 Emulsifier with stain removing and better performance on the fabric. Starwin SM99.00 Enzymatic Enzymatic liquid emulsifier with enzymes. 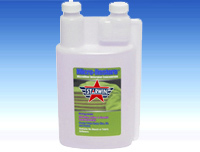 Starwin Neutralizers It neutralizes the fabric by removing the unwashed detergent from the fabric. Softeners – Basic Soft (For White) Non yellowing softness for softening the linen and have a bouncy feel. Softeners – All Fabrics General purpose softness for all kinds of fabric. Liquid Soap – Conc Liquid detergent for laundry application. 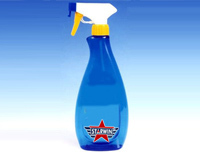 Starwin Prewash Prewash liquid kills Ca++ & Mg++ ions and allows the penetration of chemicals in the fabric. Starwin Astomer – Finishing Agent Copolymer that gives a glossy finish on the fabric and setting a glossy layer on the fabric. Starwin Prime Tex Grade - Replacement of carbonates. 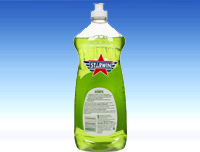 Starwin Popular Laundry Detergent Laundry detrgent powder with strong foaming and good greasing action on the fabric. Starwin liquid starch Synthetic starch. It can be used in normal water, no hot water is required. Easily soluble in water. Starwin active colour fasteners It is used for dry cleaning industry for colour fastening effect. It prevents the bleeding of colour. 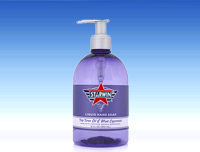 Hand Wash Perfumed Hand wash – user friendly. Takes care of skin Cleans away microscopic germs. Toilet Cleaners Strong Anti-Bacterial Toilet cleaner. Used in toilets of Houses, offices, Halls, Schools, Colleges, Banquets halls, Chawls, etc. Glass Cleaners All types of Glass Cleaning. Keeps away the flies. Used for TV, Computer, Laptop, ipads, screens. Mirror cleaning, Car windshields cleaning, Window cleaning. Phenyl Anti Germicide, Anti Bacterial, Anti Fungal. Used for Toilet Area, Office Area, Lobby Area. Schools, Canteens, Houses, Offices, Banquets, Colleges. Liquid Soap Multipurpose Liquid Cleaner in conc. form. Used for Utensils, Sinks, Floor Areas, General Wash etc. Helps in keeping away the dirt. Detergent powder Multipurpose cleaning powder. Used in kitchen, utensils cleaning, removes oily Substances. Dish Washer Strong dish cleaner, Cleans to the best. Emulsifiers Helps in removing stains. Adds Richness and Gloss. Carpets / Sofa Sets / Leather, Cloth Chairs. Schools, Canteens, Houses, Offices, Banquets, Colleges. 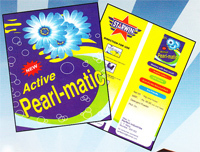 Starwin Active PearlMatic-Medium Foam Laundry detergent powder with excellent perfomance on the fabric. Starwin Active Supreme with Oxybleach Detergent powder with superior quality of washing and faster reactivity having low foam. Liquid Soap – Handwash Liquid detergent for laundry application. 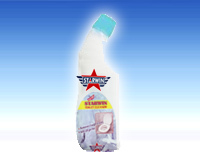 Starwin Washing Powder It is a regular washing powder detergent, generally for handwash. Sunfoam Detergent pack for export markets. The complete range of chemicals for all stages of the textile manufacturing process – from pre-treatment to dyeing and printing and finishing. STARWIN SM99.0 Detergent , scouring , wetting and soaping agent. STARWIN PRIME Wetting and detergent for scouring and H2O2 bleaching. STARWIN PEARLWASH Washing & Dispersing active agent. 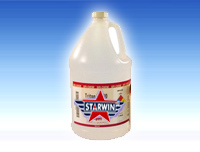 STARWIN POPULAR Biodegradable detergent and wetting agent for pretreatment and washing processes. STARWIN SM7.0 Chemical Desizing agent in Liquid form. Starwin has wide range of Chemicals to cater to the Technical Textile Industry for their cleaning applications. Detergent , scouring , wetting and soaping agent for Protective Textiles Ballistic protection fabrics, Bullet proof jackets, Chemical protection clothing, Cut protection fabrics,..
Geo Textiles -Geo-composites, Geo-grids, Geo-mats, Geo-membranes, Geo-nets, Nonwoven Geotextile, Woven. ⇒ All Chemicals are 100% caustic-free. ⇒ Helps in lower water consumption. ⇒ Extra fineness on the fabric. ⇒ Maintains the lustre and strength of the clothes. ⇒ Reduce the cycle time. ⇒ Laundry chemicals take care of hard water. ⇒ Improves the productivity of the plant. ⇒ Cost effective and quite econimical with the other brands. ⇒ Neat & clean laundry area.